Specifically, Brown Creepers, North America’s only creeper species. 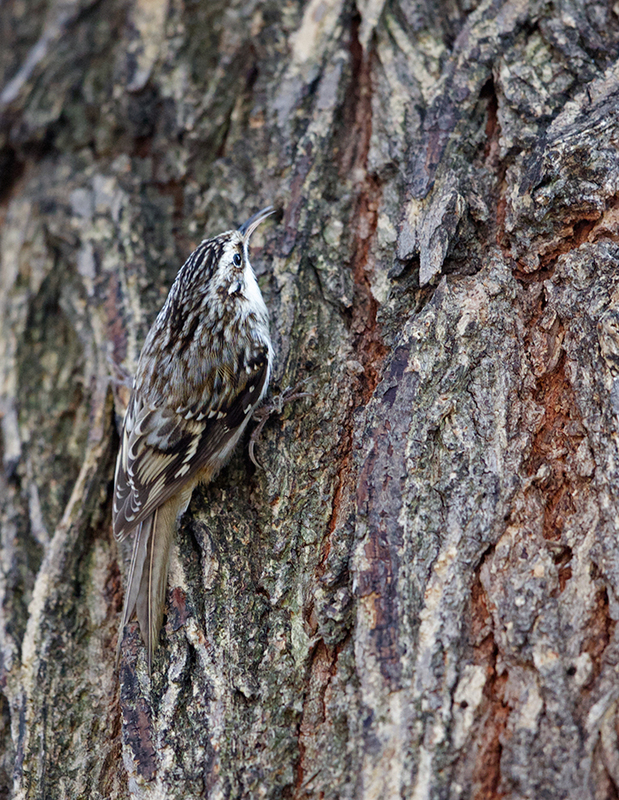 Brown Creepers look like nothing more than a piece of tree bark, defying gravity and going up the trunk of a tree. And then a dead leaf as they flutter down to the base of another tree. 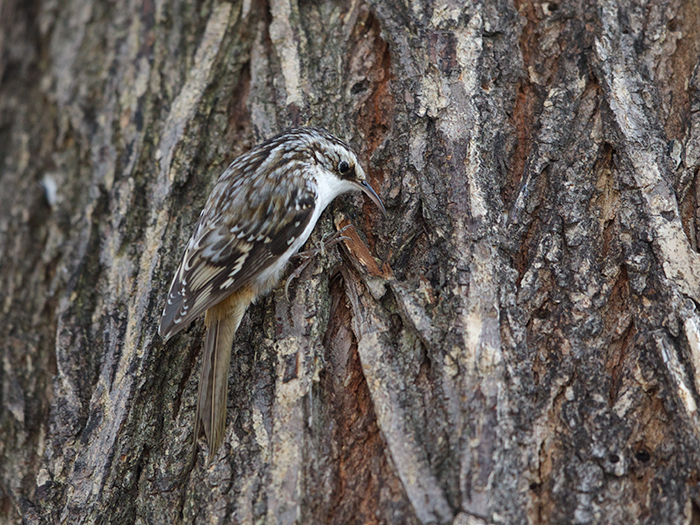 Brown Creepers almost always climb up a tree trunk, often in a spiral, hunting the bark for insects, arachnids and anything else edible. Very active, the Creepers always seem to be in motion, probing the crevices and niches of tree bark with their decurved, needle-like bill. Their call is among the highest-pitched of North American birds. WC’s aged, rock music-damaged ears can rarely hear it. They construct a hammock-like nest concealed behind a loose flap of bark. The nests are so well hidden that the first one wasn’t found by science until 1879, even though Brown Creepers are a very common bird across a wide swath of North America. These photos, in fact, were taken in WC’s back yard in suburban Boise. 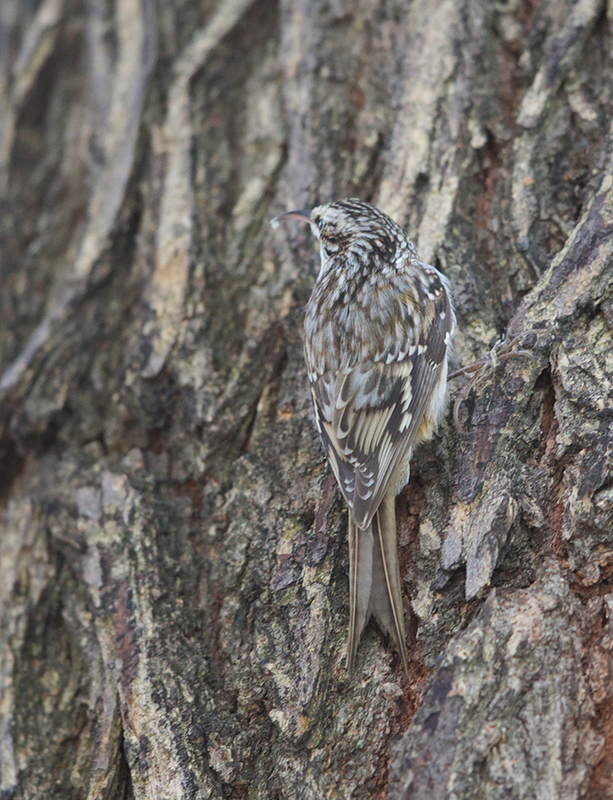 Brown Creepers are small birds, barely 5 inches long. Their small size, cryptic coloration, high-pitched call and hidden nests make them a difficult bird to study or even count. So they aren’t well studied. They prefer mature, old growth forests, and may be dependent on old and dying trees for nesting spaces. Populations have declined steely in the southeastern U.S. as old growth pine forests are cut. There are dozens of species of creepers in Central and South America. 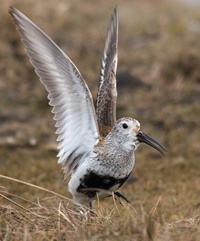 But only one in North America – admittedly with some 13 subspecies. In Alaska, they are mostly confined to southeastern and southcentral Alaska. But there is an odd, isolated colony in the Fairbanks area. Once in a while, they even turn up in a Fairbanks Christmas Bird Count. A very cool little bird. Creepers (or as my children call them, “creepy birds”) are my favorite! One built a nest in a hanging basket in the carport this past summer. Every time we sat outside, or went out to get in the car, we got fussed at. Such tiny birds, with such loud voices.